H.I.G. Capital has leased 57,829 square feet at Rockefeller Group’s 1271 Ave. of the Americas, and will relocate from 600 Fifth Ave. The lease brings the redeveloped tower’s office occupancy to 77%. Rockefeller Group anticipates the remaining space will be leased prior to completion of the $600-million makeover at year’s end. “Rockefeller Group made a major commitment to redevelop and reintroduce 1271 to the New York business and real estate communities, and it is extremely rewarding to see companies like H.I.G. Capital respond to the opportunity and choose to relocate to the building,” said Bill Edwards, EVP and head of core holdings for Rockefeller Group. H.I.G. Capital, which has $30 billion in assets under management, was represented by NKF’s Brad Needleman and Jason Perla. 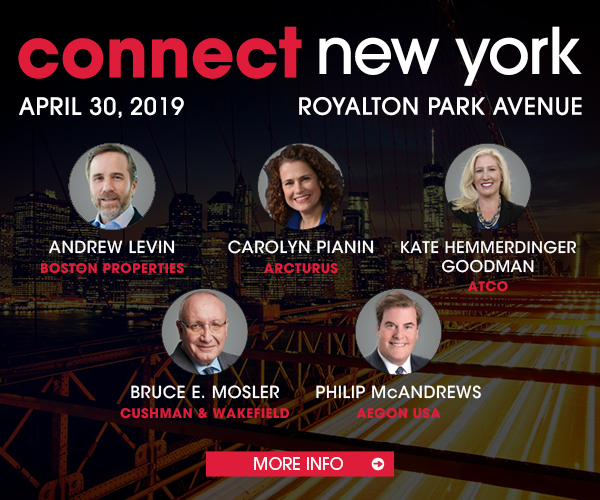 Rockefeller Group was represented in-house by Ed Guiltinan and Jennifer Stein, and by CBRE’s Mary Ann Tighe, Howard Fiddle, John Maher, Evan Haskell and Dave Caperna.